Today, the latter is wishing it hadn’t. 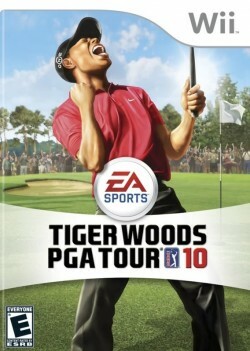 To whit, Tiger Woods 11 saw a 68% drop in sales compared to last year’s game, even though the two reviewed identically. Sales of the Wii version alone declined 86%, which one financial analyst called “particularly catastrophic,” in a note to investors. I take no pleasure in seeing a family publicly torn apart by one member’s selfish actions. But as a businessman, Electronic Arts and Nike should have known better. When your celebrity spokesman falls this hard, you’re foolish for still sending your marketing budget his way. After all, where you paying him for friendship, or increased sales? If the latter, you should have made a business decision, not a personal one. And if you wanted to help “pick a friend up,” the last thing this one needed was more money, so said support should have happened behind the scenes.